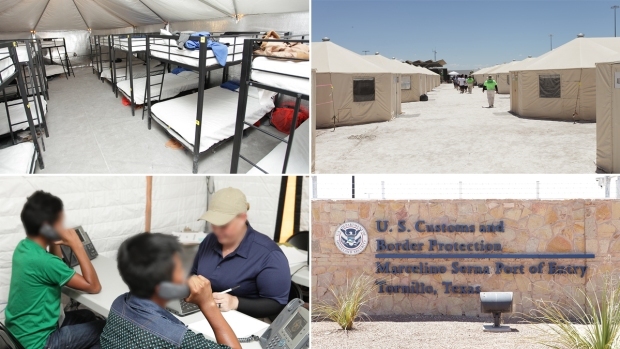 Many complications have arisen for these separated families since the Trump administration adopted its "zero-tolerance" policy on entering the country illegally. 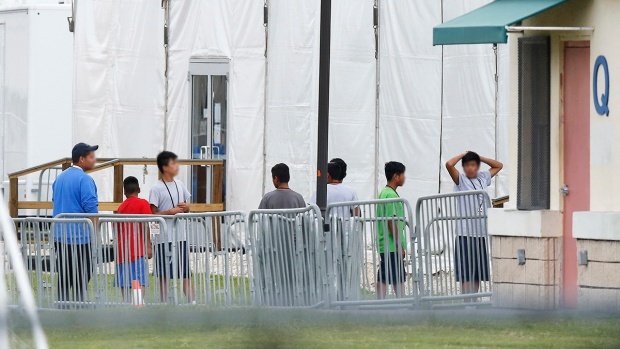 As many as 2,300 children were separated from their migrant parents from the time the administration adopted the zero-tolerance policy until June 9, the Health and Human Services Department has said. Long-term treatment of them is a concern, advocates said. Video obtained by MSNBC and aired Monday on "The Rachel Maddow Show" gives the first non-government-sanctioned look inside a facility that serves children separated from their families at the border. One girl curled up in a chair cries because she wants to speak to her mother. The worker shared the video on condition of anonymity, saying, "I feel like it's important to make a difference. I feel that it's time for everybody to stand up and stop being afraid and actually help children that are being separated from their parents." In 2016, more than 91,000 Hispanic or Latino children were in the foster care system in the United States, according to government data. Hispanic children made up a little more than 1 in 5 — 21 percent — of all children in foster care in September 2016, according to the most recent data available. That was an increase from 10 years earlier when Hispanic children made up 19 percent of the foster care population. While there are not exact numbers on bilingual and bicultural caseworkers, AdoptUSKids, a national adoption organization, said in a report that jurisdictions "are often challenged to find ample Spanish speaking staff to respond in a timely fashion to individuals and families who only speak Spanish." Although the federal government has not provided complete information on the number and location of separated children in California, visits by the California Department of Social Services confirm there are approximately 50 separated children living in 17-state-licensed homes as of Tuesday. "These children remain in the care and custody of the U.S. Office of Refugee Resettlement, which supervises their placements," California Department of Social Services spokesman Michael Weston said. According to a National Center for Health Statistics study, Hispanic women are significantly less likely than non-Hispanic women or men of any race or ethnicity to have adopted children. And according to a study by the Barna Group, 73 percent of adoptive parents are nonHispanic white adults.